1- Introduction to strategic management. 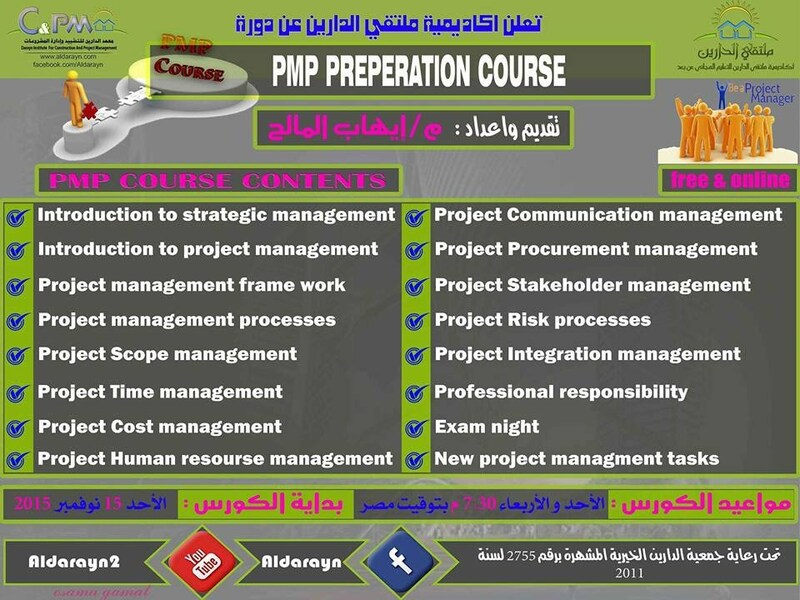 2- Introduction to project management. 3- Project management frame work. 8- Project Human resource management. -Each Chapter will be based in Pmbok fifth edition & PMP exam prep. Rita Mulcahy . -After each chapter there will be some questions and answers.